Lalit Kalani is the Director of Channel Partnerships & Business Development, Internet of Things at MachineQ (a Comcast company). Prior to MachineQ, Lalit served as the Co-Founder and CEO of Bandar Foods, a food tech startup that produced Indian sauces for the American palate. Under Lalit’s leadership, Bandar Foods raised $2 million in funding from angel investors, and had annual revenues of $2 million during its peak. In this episode, Lalit shares his path to success through his entrepreneurial ventures and varied professional background, as well as his experience immigrating to the United States—twice. Listen in to learn what made him decide to take the leap and start his own business, his biggest financial regret, and his advice on how to make sure your money works for you, not the other way around. Lalit’s story of immigrating to the U.S. twice. What brought him back to the U.S. for the second time. Why he went into management consulting right after business school. What made him feel ready to make the leap from a stable corporate America job to becoming an entrepreneur. What he would do differently if he could do it all over again. His definition of success today—and how it has evolved over time. What has given him the greatest feeling of achievement. Personal finance topics he’s curious about. What he wants to be remembered for. Lalit’s advice on managing your personal finances. Sahil Vakil: Welcome, everyone. Welcome to the 7th episode of the MYRA Wealth podcast. Our guest on today’s podcast is Lalit Kalani. Lalit is the Director, Channel Partnerships & Business Development, Internet of Things at MachineQ (a Comcast company). Prior to MachineQ, Lalit served as the Co-Founder and CEO of Bandar Foods, a Food Tech startup which produced Indian sauces for the American palate. These sauces were sold at some of the largest national retailers, namely Whole Foods, Target, Safeway, Sam’s Club, TJX, Walmart, Sprouts, FreshMarket, and Albertsons. Lalit also launched the Bandar sauces in international markets, including Canada, India, and the UAE. The company during its lifetime, under Lalit’s leadership raised $2M in funding from Angel Investors, and had annual revenues of $2M during it’s peak. Unfortunately, today, the company has scaled down significantly, and does not have the large presence it did a few years ago, and Lalit moved on from this entrepreneurial venture into corporate America. Prior to his Food Tech startup, Lalit served as a Manager at Deloitte Consulting. He holds a Bachelors in Finance & International Business from NYU, and an MBA from The Wharton School. 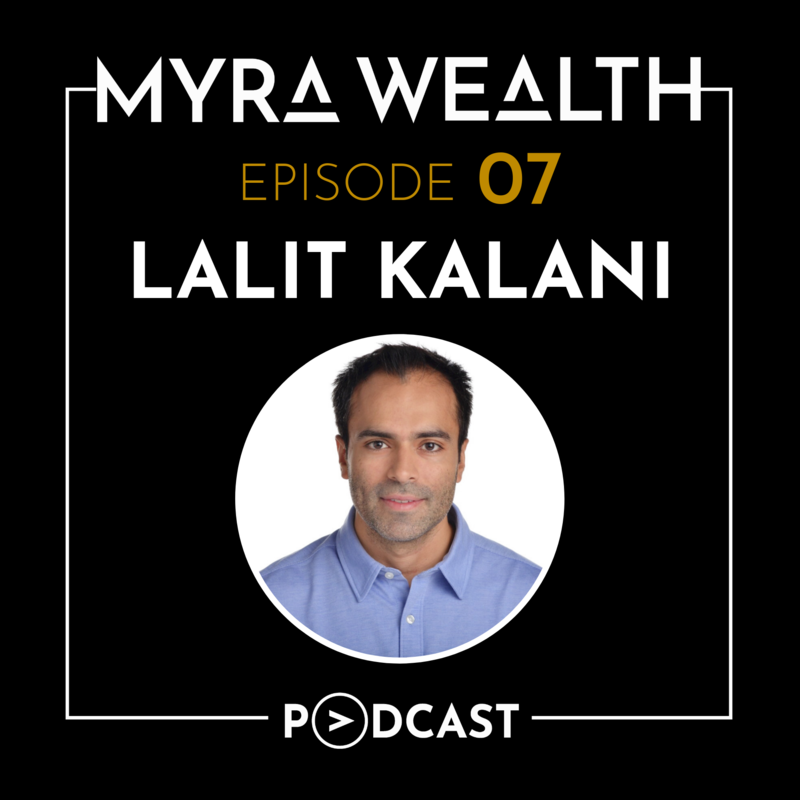 With that introduction, I hope you enjoy our MYRA Wealth episode with Lalit Kalani. Welcome Lalit. Welcome to the MYRA Wealth podcast. Lalit Kalani: Thanks, I'm happy to be here. Sahil Vakil: Absolutely. It's a pleasure having you on. I mean, Lalit I've known you now for what? 30 plus years. You and I grew up together. We went to school back in India through our K-12 program together. And it's just amazing to see this extremely studious child in the school, I still remember you. You had these big glasses and you were always this studious kid and then today, I look at you and you’ve achieved so much. You're the director now for Channel partnerships and business development for MachineQ’s Internet of Things business line which is a Comcast company. And I'm just fascinated by your entire journey from our times back in India when we grew up together to today where you’ve achieved so much success. I mean before we move forward, can you just briefly introduce yourself to our audience? Lalit Kalani: Sure. That was a great intro and I still wear the big glasses except you don't see them because I wear contacts in public. As Sahil mentioned, we grew up together. I was born and raised in Mumbai, India. Came to the US for high school, college. Went back to work in India Grew up in a very entrepreneurial family and knew that I wanted to always start and run my own business and did some of that with my family's business before coming back to the US to get my MBA. And have since, in my professional career at least, followed that entrepreneurial instinct that I've had but I have mixed that in with a lot of learning at working for other companies as well as doing some consulting. So, I've had a varied background when it comes to a professional career but it's always been something about trying to see what's more fulfilling and where I'm going to learn the most. Regardless, happy to be here. I live in Philadelphia today. Been here about nine years since I came here for grad school. And, yeah, Philly is a great city if you guys haven't visited yet. Sahil Vakil: So, help us understand a little bit of your timeline. If I recall correctly, obviously, you grew up in India, then you moved to the United States for an undergraduate at NYU. And then I believe you moved back to India to pursue your entrepreneurial ventures and your family business. And then you came back to the United States. So, in a sense you're like a double immigrant, right? You kind of immigrated to the United States twice, two separate instances. And, I just love to hear what kind of brought you back? Lalit Kalani: So, they are both personal and professional reasons for coming back to the US. I went back to India to work in my family's business. I even had a brief aspiration to be a Bollywood actor, didn't work out too well but I stuck with the family business and I'm glad I did. That being said, running a family business is great because you are basically running the business, you're the owner, there's a lot on your hands. But I think there’s a family dynamic that people should not underestimate or it's not non-trivial, per se. And working with family dynamics, different members of the family where you mix personal and professional lives can get really complicated. And given that the family is big and there are multiple players in the business, I decided that if I really wanted to pursue something on my own and really make something of myself and certainly did not want to mix personal and professional lives, I decided that the best thing to do was come back to the US. Use some of the learnings I had in India but come back at my MBA and really invest in myself to then give myself a platform from which I can grow to do whatever I wish to do. Sahil Vakil: That's very interesting. So, you got your undergraduate from NYU. You went back, ran your family business, you came back then you got an MBA from the Wharton School. Tell us about the journey after that because I believe you started a business in the United States? I mean, people just dream of... I mean, it's the American dream. You came, you explored and you saved up a big nest egg and then you went and launched your own firm. Lalit Kalani: Yeah, so right after business school I actually went into management consulting and there were few reasons for that. One, I wasn't sure what kind of business or what I wanted to join or start after school. Two, I think something like management consulting is like an extension of your MBA and I thought that would give me learnings and opportunities to really learn how corporate America works, what professionalism is like here in the US which is very different from what it is in India, learn some of the work ethic of how people work here. So, it was really an opportunity for me to learn. And during this time, I was actually pursuing my hobby which was Indian hot sauce company which I started with a friend from business school. the idea came out of there. But it wasn't really a full fledge business more of a hobby, got that going while I was consulting. And then eventually that hobby grew into a small business and then that business started taking up more of my time. Eventually, me having to quit Deloitte three years in to really pursue my business which was essentially a hot sauce company. I spent the next four years essentially growing that business, launching maybe 25 different products, launching it across 5,000 stores here in the US, raising some capital, growing a team and really giving my best shot at running that business. Unfortunately, and I know Sahil will go into it, but unfortunately that business did not turn out how I wanted it to be. Four years in, realized that it wasn't the venture backed type of business that the way we were running it and it was more lifestyle, smaller and better off as a hobby or a side hustle. Which is nothing wrong with that, it was just something that personally I wanted to pursue something bigger. And so, four years in I had to restart in some ways. But certainly, people see it as the American dream. And I would say, for many people, entrepreneurship and starting their own business is a dream, but it certainly requires a different level of dedication and commitment and risk-taking and to some part event some form of risk averseness. We can get more deeper into that certainly. Respect entrepreneurs out there and anyone who really tries to start their own business. Sahil Vakil: A couple of questions that come to mind for our audience is one, you came here for an education so you potentially were on an F1 visa and then if you work in corporate America you got on to an H1B visa. So, I think a lot of our listeners they’re wondering like, “How do I start a business on an H1B?” I mean, how did you go about navigating the immigration situation? That's the first question. And the second one was, at what point did you realize, was it more that your business was just taking more time away in the day and you decided that you needed to commit to it? Or did you reach like a personal finance threshold where you said, “I've saved X amount of money in the bank and now I'm ready to make that leap.” So, what were your decision points? One, from an immigration perspective and two, from a personal finance perspective. When did you feel you are ready to make that leap of faith from a stable corporate America job to this unknown entrepreneurial space which has a lot of promises? Lalit Kalani: Sure. So, I'll make the immigration question easier or it has an easier answer where I had a Green Card and I got that because I was married. My wife was an American citizen. So, for me that was never a consideration even when I was launching my own business. I have seen friends who’ve started businesses and that is a big point of consideration. So, I count myself as actually very fortunate that was not a decision-making point or a consideration that I had to take in. On the decision points to quit my job, it's one of those things where looking back I would think about that nest egg and having gone through the experience I did. But certainly, in terms of how the decision point made came to life was primarily the amount of work and what started building. So, we started building the business and it started growing to a point where it was taking a lot of time. Dan who is my co-founder and I decided that if we really wanted to give this a full shot or a real shot, we would have to go full time. But we set ourselves certain set of criteria of what we needed to achieve before doing that. And a few examples would be making sure we have repeat orders from our customers, making sure our manufacturing is set up, making sure we can ship out product consistently from India, which is where we were getting our products manufactured. So, there were a few sets of criteria that way that we wanted to check the boxes before we quit our jobs full time. In addition to that, there were also some great business opportunities. At that point, we were accepted into Whole Foods nationally. And knowing that would require a certain amount of commitment from us, that sort of helped push us over the edge there. But certainly, looking back at it and we can get into how I think about that now, a nest egg is certainly something I would add to that checklist or consideration of how one can go about it, how do I do that today. Sahil Vakil: That’s a very interesting point. Let’s have that conversation. So, it sounds like a lot of your decisions were based on... if you were meeting some business metrics that you had defined, achieving that level of customer service or satisfaction or number of customers or getting into like a big brand retailer like Whole Foods. So, it seemed like a lot of your decisions to quit your full-time job and move in entrepreneurship were based on business metrics, and you didn't consider the personal side at all. But it sounds like in hindsight now, you wish you had. So, I mean, what has hindsight taught you? We say hindsight is 2020. In that sense today, if you were to redo this again, what might you do differently and would you put in some personal metrics as well to balance your business metrics? Sahil Vakil: Very interesting. It sounds like a good balance of personal and professional metrics in that sense. You mentioned a couple of them. You said definitely, maxing out that 401k plan that you may have had making that money untouchable basically fits into retirement account. That 401k plan, you cannot withdraw till retirement age unless you pay a penalty, of course. And that kind of creates this nest egg for you. Also, other retirement accounts potentially could have been like IRAs, or 529 plans or the like, in that sense. So, very interesting kind of guidance there. Thank you for that. As you're in corporate America and you have a stable income and when you do have a stable income, save as much as you can for your retirement. And when you feel like you have a little bit of a nest egg outside of the retirement funds, potentially we recommend, if you have at least 6 to 12 months of living expenses, because it does take about 12 months before you start generating any income or revenue from any new venture. Definitely keep that emergency funds available to you before launching a business. So, thank you Lalit. I think these were some really interesting insights. You mentioned you have a high-risk appetite. Do you feel this relates to your childhood in any way, your upbringing or do you have any childhood memories or stories as they relate to money and just as they relate to the way you potentially are today in terms of some of your decision makings? Is there anything that kind of resonates? Sahil Vakil: Don’t think they can hear you. Sahil Vakil: And that's a very interesting cultural nuance you bring. I work with several international and multicultural families and a stark difference we see in international families and US based families is this kind of sense of family and support and the fact that finances are commingled, or even like emotions and social aspects are commingled to a point where if you jump into a decision you always know someone in your family has got your back. I think that really creates a very strong entrepreneurial foundation. And also, just from a multi-generational perspective. I think it's interesting because it seems like it is kind of an expectation. I mean, it's like your parents did this for you and you will end up doing this for your children. And, correct me if I'm wrong, but it's kind of part of that cultural DNA and it just becomes like part of society and the family’s expectation of each other. Lalit Kalani: Absolutely. I’ll do it for my kids too and that same sort of support but certainly there are some learnings like savings and building that nest egg that I only realized recently in my adult life that I would also want to add to that repertoire of our tools per se for kids or anyone who I really talk to, to put that in there as well. Sahil Vakil: Thank you for sharing that. So just moving on, in terms of your professional career, we always ask this question to our guests, what's your definition of success? And where does that come from? Just listening to you talking for these past few minutes, I would say you're already successful. I mean, launching your first startup... there's a saying, it's like, “fail early and fail often.” It's great because you've already cross that hurdle, because you know the next one you've learned so much you can move on. In my mind, you're already successful. But I'd love to hear what's your definition of success. Is it on a similar line? Is it more personal? Give us your definition. Lalit Kalani: Sure. I think for me, success is doing something where I know I have an impact when I do something, whether that be at a corporation, whether that be within my family to really be able to have an impact in that and on the decisions and the path of where things are going and vice versa, feeling valued where I'm at. And I think, that for me provides the most satisfaction and that satisfaction really helps, is what I define as success. I think as an entrepreneur, everyone certainly thinks there is a lot of financial success or financial metrics that one can have for success. Especially having gone through that experience once, I would say, if financial metrics are, or a financial success, is someone's definition of success, I would certainly say don't start a business because probability weighted you probably will make less money starting a business. Sahil Vakil: That's very interesting because it seems like your definition of success transformed as you got deeper into your startup and also deeper into life. Initially, it may have been based on financial metrics, and then this financial view of success. But over time, it seems like personal satisfaction, having an impact, more making a change in this world. It sounds like you went from a material definition of success to a non-material definition of success. And I think that's just an amazing journey to go through to kind of feel that form of liberation. Did you...? Lalit Kalani: And then I'll just add to that, I mean there are some personal events during that journey too that have brought me here. One is, I was diagnosed with some form of cancer that was easily treatable, knock on wood, so I got over that hump during this time as well as, not to get too personal but certainly ending a long term relationship and going through that experience, those were some really hard times that I had to deal with during this time as well and certainly made me question a lot of things or a lot of things. What I thought I knew, it made me really think about what I wanted from my business or from relationships. So, going through some of those tough times including the sort of tough time during my business too towards the end when coming to that decision of shutting it down. So, there's been some tough times during the last five or six years which has really formed or defined what I believe success is for me. Sahil Vakil: That's amazing. It seems like these were the main pivotal points around which your definition solidified over the years. Thank you for sharing. I mean, those were very personal and I know they’re close to your heart. So, I appreciate you sharing those. Sahil Vakil: Going to more less sombre area or happier area. Let's talk about, professionally throughout your life what has given you the greatest feeling of achievement or the greatest feeling of success? Sahil Vakil: Fantastic, I still remember those days because I knew you were also been published during that time. Huffington Post covered you and some major publications were covering your work and you also received some form of funding of capital from several angel investors during that time. I know that period for you was an amazing period and I’m sure it made you feel this great feeling of achievement. So, tell us clearly your definition of success, it's non-material, it's non-monetary, it's more satisfaction based, having an impact. So, if that's your definition then what is the most important thing that money gives you today? Sahil Vakil: That’s a great takeaway. Make your money work for you. Don’t let money put you to work. An interesting question now. Obviously, your decisions to go from corporate America to an entrepreneurial life were not money related, you pretty much made the decision to jump irrespective of where you stood monetarily. Would you have done anything differently not just from your entrepreneurial journey but like in life to date if you had an unlimited amount of money? What would you have done differently? Lalit Kalani: Personally, I don't think I would have done much differently because I think every part of this journey has actually taught me something that is going to help me in my next step. And the way I actually start thinking about it is how from a long-term perspective is how what I'm doing today is potentially going to help me fulfill a larger goal. So, it's certainly one of those questions of... I don't want to just start a new business today. There's certainly a lot for me to learn from... I still need some emotional rest and break from being a CEO and running my own business. So, even if I had an unlimited amount of money, I would still need to do something where I can learn that will help me towards that next business. So, yes, of course there are small things I could do. I could have quit my job one year earlier before struggling and running two jobs. But certainly, I would say, I wouldn't have changed much because everything that I've done, looking in hindsight, I learned so much from it that it actually helped me run my business and then again what I'm doing today I know will help me what I do tomorrow. So, there's a good aspect or thought, a way to how to think about just having unlimited money wouldn't necessarily help me be satisfied more quickly. There’re certainly more risks I can take but I wouldn’t say anything would be different. Sahil Vakil: That’s a takeaway, we’ll be hearing that. Pivoting a little bit in terms of today, it's been a few years now since your startup. You’ve moved back into corporate America, you're working as a director at MachineQ, a Comcast company. 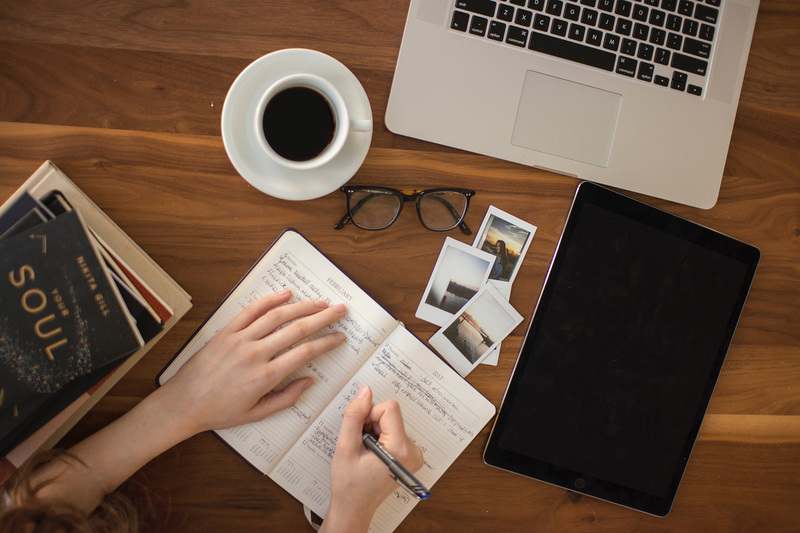 What are some of the personal finance topics that you're curious about today? Clearly, you're back in corporate America. Are you now looking into that 401k, that IRA? Are there any other personal finance topics you're curious about like Bitcoin or what comes to your mind? Lalit Kalani: Sure. Given that I am starting to build my nest eggs from scratch, there are certainly some topics such as retirement accounts that I didn't know much about, but thank you Sahil for helping me out with that. That being said, those were some initial topics. There were certainly topics on optimizing your tax strategy given that if you have businesses or even if you do work in corporate America, there're certainly some tax strategies and things available of how you can help manage your money in such a way that optimizes the tax savings or using some of the benefits that the government provides. So, I would say those are some financial topics that were needed when I was starting to set this nest egg up. Today, there's a lot of thought about how and where you should invest your money. Certainly, there're parts of me that want to invest in risky stocks, how you balance that. There’re certainly emotional aspects of how it could be managed or how you can manage your money. Sahil Vakil: If I'm hearing this correct, you’re saying behavioral finance aspects are something that interest you at this point and how humans interact and what decisions emotional or personal that they might make as it relates to their money. That's kind of interest to you at this point, kind of exploring that realm and how maybe two rational people having the same options alongside them might make two completely different decisions. Is that something that really excites you today? Sahil Vakil: Great. Fantastic. Thank you for sharing. Just moving on to the next different area, what are your chief information sources regarding behavioral finance today. Are there specific journals or articles or blogs or podcasts or anything that you would recommend our listeners tune into or kind of read? Who are your chief information sources? Lalit Kalani: So, chief information sources have primarily been friends or family. I haven't really been reading too much. So, certainly working with working with you Sahil I think in my recent life I think you've been probably my lead source of information. I would say having now some background I certainly have more educated conversations with people at work who also like finance as a topic or personal finance as a topic or investing is something that they're interested in. So, I have conversations with coworkers. And then of course, talking to my family who I trust and see what they're up to and understand. So, I would say between you, coworkers, friends and family would probably be my biggest sources of information. Sahil Vakil: We’re now going to go through a quick kind of rapid fire maybe five questions. If you can just give us anecdotally maybe in a couple of seconds, your response that would be amazing. Are you ready? Lalit Kalani: Yep, let's do it. Sahil Vakil: Okay. So, what's your best financial decision you've made in the past? Lalit Kalani: Getting my MBA. Sahil Vakil: Awesome. A $200,000 investment, but well worth it. Lalit Kalani: Well, worth it. I mean, it helped me with my business, it helped me with raising money. It really provided me, in itself a nest egg on knowing that I will have or do have a good opportunity of getting a job or keeping a job or if something doesn’t work out with my business, so it’s certainly a nest egg in itself. Sahil Vakil: Right, and we call it an insurance policy in our personal finance space. It’s like, you’ve paid all these premiums, which is your tuition and now, you just have an insurance policy. Now, if you ever fall you there’s always a net that's going to catch you and you can always get a job. Lalit Kalani: Yeah. That’s well put. I like that. Sahil Vakil: Second question, what is your worst financial decision you made? Lalit Kalani: Not opening retirement accounts. Sahil Vakil: Okay, so not opening a 401k or IRA early in your career when you had your first corporate job and you were earning a steady paycheck. Lalit Kalani: Yep. And for two reasons. One, I didn't understand that matching is essentially free money when it comes from corporate or from your employer. And two, even though you can remove them for a penalty once, so it's a big psychological barrier, therefore untouchable. And knowing that if I’d done that years while I was working, I wouldn’t have gone down to zero when my business didn’t work out. Sahil Vakil: Interesting, so you’re saying save early and put all the money in a retirement account to create self-discipline in that sense. What is your unhappiest moment as it relates to money? Lalit Kalani: So, I think I was unhappy with money or it was more a realization that this was actually when I had my diagnosis. I knew it was curable and I was lucky that it was curable and treatable, but it was certainly one of those moments where you realize that money can’t buy everything. And so, you start having a different relationship or you think about money in a different way, coming back to why those non-material factors became more important of my life. I wasn't unhappy at money but it was just certainly a realization. Sahil Vakil: Makes sense. Do you have any rules that you follow with your money? Lalit Kalani: Not enough. I need to get and be more disciplined with it. I don't have any rules that I've really defined or structured for myself. There might be rules just inherently, but I haven’t really been able to define them so. It’s something I need to do and work on. Sahil Vakil: So, moving into this hypothetical space, this future vision, or let’s fast forward yourself to the next 20, 30, 40, 50 years down the line. If you were to reflect 50 years later professionally, what are the top three things that you wish you had done in your lifetime? And then also, what do you hope to be remembered for some day? What's your legacy? Lalit Kalani: I would want, looking back I would want to make sure that every everything that I did or worked for professionally I was able to bring value to the table or have an impact however big or small. And adding to that, I think certainly making sure the things that I did work just for money, I mean going back, I was able to do things that I really wanted to do or learn from. Some other things I would start thinking from talking about the learning thing, I want to make sure every step of the journey or every sort of chapter I learned something new and certainly going after being better at certain things or learning new skill sets. Certainly, something I want to keep doing and avoid being complacent, whether it be the same job for 20 years, I don't want to end up being complacent about it. But really make sure that I learned something new and have an impact where I am at, whether that be my own business or if I'm working for another business or if I'm a manager in another business, for me that would be the matter. I’ve to run my own business but I would say, it’s certainly one of those things where, regardless of where I’m at or what I’m doing, those things are kept in mind. Sahil Vakil: Great, great. Thank you, Lalit. I think one last question before we wrap for this podcast. If you had to leave listeners with one final tip on managing their personal finances, what would that be? Lalit Kalani: It's something I mentioned earlier and it's more make your money work for you. So, really take the time to figure out what drives you, what’s success to you, what makes you happy and then really find a way what that means and find a way for money to help you achieve those things versus being slave to money or working somewhere where you’re only doing it for the money. So, don’t work for it, make it work for you. Sahil Vakil: That's a great thought. Make money work for you, don’t let money put you... Thank you Lalit. It’s been an absolute pleasure and thank you for sharing your personal and professional stories with our audience today. We hope to see you soon. Lalit Kalani: Thanks, Sahil. I appreciate the opportunity to be here and as always, great talking to you.